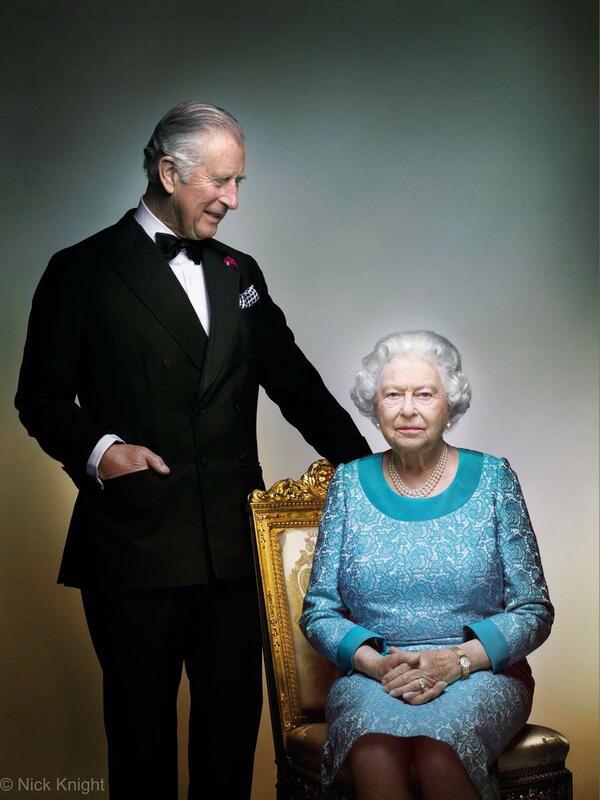 The Royal Family released a new portrait of The Queen and The Prince of Wales, taken earlier this year, to mark the end of Her Majesty's 90th birthday year. This is a sweet shot, apparently taken in just a few minutes - in true Windsor fashion, they have no time for posed photos - and with The Queen trying to hold back a laugh from a quip made by The Prince of Wales. This was just before Her Maj's big birthday celebration at the Royal Windsor Horse Show back in May, which explains why she looks a little low on the bling next to Charles and his tuxedo: her big brooch was on the jacket that went over this dress.